Dustin Bales was born and raised in Central Missouri. He attended Missouri S&T in Rolla, and received his B.S. in Chemical Engineering in May of 2010. Dustin was heavily involved in Engineers Without Borders at S&T, and this led him to seek out the Master's International Program. 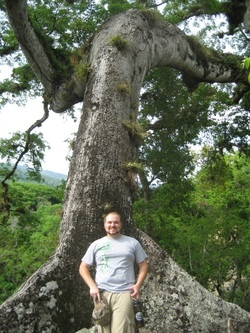 He traveled to Honduras three times with EWB. Dustin would like to continue working in International Development after he finishes the Master's International Program.